A critical attribute of our portfolio companies is a management team that is receptive and responsive to VPEG involvement and influence. VPEG not only keeps a tight tab on the progress of the business, but can also add significant value by providing management expertise and important connections needed to grow the company. We play an active role in ensuring portfolio companies have both a sound capital and operating strategy. Through our review processes, we work with the management team to not only be informed of the progress of their business plans and developments, but to also assist in the on-going revisions of those plans. In fact, our team often becomes a key extension of the senior management of those companies in which we invest. Our investment opportunities are generated through our extensive networks that include, but are not limited to, contacts with numerous Angel Groups and traditional Venture Capitalist networks. Energy: VPEG has taken a diversified position in global energy by exploring strong opportunities in both the traditional fossil based fuels and in the green segments, with proven sustainability in global markets. Our General Partners have well over 100 years of combined experience in upstream, midstream and downstream energy markets to draw upon. Medical Technology: On-going regulatory changes in the medical industry and the need for greater efficacy and efficiency are creating emerging opportunities for high growth investments that capitalize on deployment of technological advancement and enhancement in this sector. Our team has over 70 years of combined experience in health-care delivery and support sectors, as well as a vast network of management contacts. Target Market E-Commerce: VPEG General Partners have experience and expertise in identifying those e-commerce ventures that are able to target and effectively address specific needs of a unique and definable community. Select, early stage companies will be in a strong position to develop intimate and proprietary relationships that will be strong takeover candidates in the upcoming years. Food Security: VPEG identifies opportunities that address global food security and safety. Our investments in this space to date include best of class world leaders in mariculture and fertilizer feedstock. We focus on innovations that can reverse the alarming depletion in our oceans and can enhance agricultural productivity in an environmentally sensitive manner. We also continue to pursue more effective ways of utilizing technology to track and distribute food products through more capital efficient and reliable processes. Minerals and Mining: VPEG also has strong relationships and experience in these industries, that can both source and vet significant opportunities when they are in their early, high growth stages, providing long-term appreciable yield for our investors. Platform Technologies: As the world moves to progressively more ubiquitous and advanced digital connectivity, VPEG is at the forefront of those high value opportunities that are accelerating this global trend. Our strategic partners in this space are global leaders in the technologies that connect the physical and digital worlds. Furthermore, our relationships facilitate rapid penetration of these truly disruptive technologies into multiple scalable verticals. Entertainment and Media: VPEG regularly invests in, and helps develop platforms that allow artists to create, protect and monetize content while rapidly growing their respective fan base. Recognizing the historical yield profile and non-correlated nature of these assets, VPEG also directly participates in the creation of new content and the opportunistic purchase of existing content, including music, film, and other traditional and digital media. BioHiTech offers cost-effective technology-based solutions for waste disposal geared toward providing a true zero landfill environment while disrupting an industry that has remained unchanged for decades. BioHiTech processes millions of pounds of food waste yearly from hundreds of its eco-digesters in 38 states, 17 countries, and on 4 continents. With its cloud-based data platform, BioHiTech IoT helps its customers save millions of dollars by analyzing billions of data points. Some of its customers include The Cheesecake Factory, The Federal Bureau of Prisons, General Electric, Fairway, Marriott, Veteran Canteen Services, and Marina Bay Sands Singapore. BioHiTech Renewables provides a proven, cost-effective, clean alternative to landfills for the disposal of solid waste throughout the United States. The High Efficiency Biological Treatment (HEBioT™) process, developed and patented by its European partners EntsorgaFin SpA, utilizes a combination of automated sorting equipment, enhanced biological composting, and mechanical refinement to convert waste into an EPA recognized, clean alternative fuel while achieving as much as 80% landfill diversion. BioHiTech commenced trading on The Nasdaq Capital Market on April 9, 2018, using its current ticker symbol, BHTG. Launched as a spin-off of the Lockheed Martin’s aquaculture line of business and named by Time magazine as one of the best inventions of the year in 2012, Forever Oceans creates end-to-end sustainable aquafarms by combining leading technology with advance biology to offer the most sophisticated approach to aquafarms in order to grow healthier, more sustainable fish in better conditions while keeping operations simple and reliable for their farm customers. With this investment, VPEG is established as co-investors with world-renowned technology leader Lockheed Martin in a transformative opportunity. This innovative and patented technology and extraordinary team puts Forever Oceans at the forefront of the marine culture industry. This investment will accelerate the delivery of a valuable “global impact” seafood product and process. ZEEP is an Austin-based clean energy company engaged in the development of world scale projects that upgrade low-value feedstocks into premium fuels and chemicals. ZEEP’s management team has significant experience in implementing major energy projects with a particular focus on North America. ZEEP principals have led in the design, construction and financing of approximately $100 billion of energy and chemicals projects worldwide over the last 20 years and bring executive level experience from organizations such as TransCanada, Cheniere, Credit Suisse, BNP Paribas, the U.S. DOE, TXU Corp., Fluor, Mustang Engineering and Koch Industries. Currently ZEEP is building the largest Natural Gas to Methanol plant in North America in St. James Parish, Louisiana. ZEEP anticipates building several additional plants in the next 3-5 years. Café Agave is a completely unique cream liqueur that turns the normal into the extraordinary. Founded by beverage industry veteran Mark Scialdone, Café Agave enhances the rich taste of fine coffees by creating intensely flavorful drink concoctions. Selected as winner in the 21st annual Convenience Store News “Best Products” Awards competition in the liquor category, Café Agave comes in four unique flavors: Café Mocha, French Vanilla, Salted Caramel and Toasted Coconut. In 2018, Café Agave will introduce its innovative line of Spiked Cold Brew available in four different flavors: Café Mocha, Vanilla Cinnamon, Salted Caramel and Espresso Shot. Named as a ‘Top Innovation’ by Beverage Industry News in its October, 2017 cover story, Café Agave Spiked Cold Brew is a fermented alcohol product that can be legally sold in establishments that are only licensed for beer and wine. Scialdone’s business partner is Ami-Lynn Bakshi, who spent over 20 years in marketing and innovation at Diageo. POP! 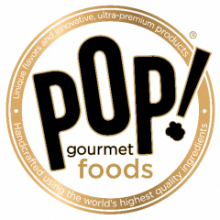 Gourmet, LLC (“POP”) produces, distributes and wholesales ultra-premium gourmet popcorn, potato chips, and other snack products. Its products are innovative, and have won multiple national and international awards including a gold SOFI in 2013, a silver SOFI in 2014, and the Sweets and Snacks Show “Most Innovative Product” awards in both 2013 and 2014. POP was named the “Snack Producer of the Year 2015” by Snack and Bakery magazine. The Company has leveraged its brand awareness and market penetration through co-branding with companies like Brown and Haley (Almond Roca), Rogue Creamery (gold SOFI 2013), Rhythm Superfoods (kale), Huy Fong Food’s iconic Sriracha sauce and the Tajin family of products. Current customers include Starbucks, Kroger’s, Costco, Wal-Mart, Sams Club, QFC, Fred Meyer, Alaska Airlines, Hudson News, Dean & DeLuca, and Wegmans among others. Recovery Force USA is producing next generation performance apparel with embedded Active Compressions™ Technology. Their team has developed the ability to actively control shape-changing memory fibers in real-time using proprietary methods and algorithms while on the body, with no noise, no bladders, no motors, no cords. The patented shape-changing fibers embedded in garments produce therapeutic, variable, sequential compressions on the body that can be worn during work, rest or play. The result is a line of lightweight wearable garments that improve recovery and enhance tissue health through controllable dynamic compression. The company has received U.S. Food & Drug Administration (FDA) clearance to market its Class II 510(k) Active Compressions™ product, the RF 1400. Additionally, the National Institutes of Health (NIH) has awarded Recovery Force a $244,167 Phase I Small Business Innovation Grant to further its research with its patented shape-change technology. Navitus is a private oil and gas partnership with management controlled by the VPEG General Partners. 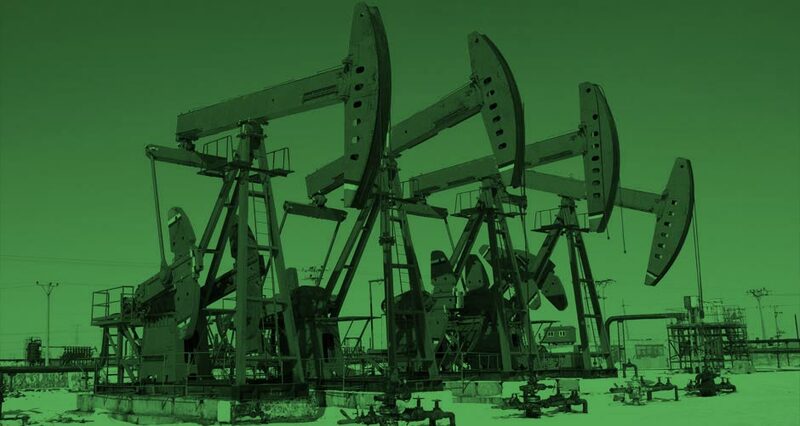 Through its partnership with a publicly traded oil and gas corporation, it is actively engaged in the acquisition, exploration and production of oil and natural gas properties. The Partnership holds interests in properties and producing wells located onshore in Texas and New Mexico. 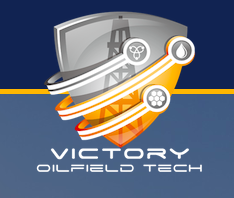 Victory Oilfield Tech (OTCQB: VYEY), is a publicly held oilfield energy-tech products company focused on improving well performance and extending the lifespan of the industry’s most sophisticated and expensive equipment. The Austin, Texas-based company exclusively licenses intellectual property related to amorphous metal alloys for use in the global oilfield services industry. Armacor Victory Ventures, LLC is an affiliate of Liquidmetal Coatings and the grantor of the license to Victory Oilfield Tech. Liquidmetal Coatings Armacor® branded materials harness a revolutionary amorphous metal technology discovered in conjunction with NASA. Considered one of their top discoveries, it has the potential to fundamentally change the paradigm in material science and the industries for which Liquidmetal Coatings makes products. They harness this technology to produce the world’s leading wear and corrosion solutions. Blackacre Resources (BAR) is a VPEG portfolio company that sources and exploits O&G development opportunities that are large enough and scalable enough to attract institutional investment. Currently BAR controls acreage with an estimated 2 million barrels of recoverable oil and 100 billion cf of recoverable natural gas. BAR is managed by VPEG GP that have over 100 years of combined oil and gas experience. Visionary Media Group, a subsidiary of VPEG, has a joint venture agreement with acclaimed international music company BMG for purposes of investing in the acquisition of music publishing and film score catalogs. This joint venture gives VMG access to film and music assets with a renowned music industry partner. BMG is a division of global media, services and education company Bertelsmann Music Group. BMG Music Publishing company is the world’s third largest music publisher and the world’s largest independent music publisher. By virtue of its investment in Tusk Ventures, VPEG has equity participation in multiple disruptive companies with considerable upside potential including a direct investment in FanDuel. Founded in 2009, FanDuel is the leading daily fantasy sports provider with the sole mission of making sports more exciting. FanDuel has redefined fantasy sports; offering a multitude of one-day game options for NFL, NBA, MLB, NHL, and college football and basketball, with new public and private leagues forming daily, ranging in size from two to thousands of players. Fantasy sports has rapidly become an enormous industry and continues to grow. Daily games will generate an estimated $2.6 billion in entry fees this year and are projected to grow 41% annually, reaching $14.4 billion in 2020. Research analysts point to latest polling figures to show that even with this rapid growth in the industry, there is still room for increased participation in daily fantasy sports. FanDuel has raised $363 million in funding from investors including KKR, Google Capital, Time Warner/Turner Sports, Shamrock Capital, NBC Sports Ventures, Comcast Ventures, Pentech Ventures, Piton Capital and Bullpen Capital. TunesMap is a new entertainment platform that organizes, visualizes, and monetizes cultural and commercial content from the cloud around the music you love. Imagine that while listening to your favorite song, album or playlist, you could instantly see everything that is culturally and contextually relevant: including curated film, art, fashion, memorabilia, photos, news and videos. TunesMap identifies your music by its Time, Place, Genre, and Artist, and then loads contextual, cultural search results in a visual interface. It’s search through songs. TunesMap delivers to your mobile device, tablet or television an ever-evolving display of cascading images that all serve as entry points to relevant cultural content. It’s an interactive world of culture at your fingertips. A new visual medium around music. By re-imagining music in a visual, cultural context, TunesMap gives new meaning, and thus new value, to the music you already love and the music you’ll continue to discover. Visionary Media Group (VMG) is a diversified entertainment and media company specializing in the development and acquisition of film and music assets. A wholly-owned subsidiary of VPEG, VMG targets opportunities with high growth potential including the production of independent and commercially viable feature films for the global marketplace. The company has financed and produced its first feature length film titled Locating Silver Lake starring Finn Wittrock and Josh Peck and slated for release in 2018. In addition, VMG has a joint venture agreement with acclaimed international music company BMG for purposes of investing in the acquisition of music publishing and film score catalogs. In 2018, the company launched its record label division, One Vision Music Group, with its first recording artist Kree Harrison. VMG has an experienced team with over 100 years of high level entertainment, finance and legal expertise. Co-investors alongside VPEG include Softbank, Sequoia Capital, Google Ventures, General Catalyst and Allianz. Lemonade was also recognized as one of the top 25 tech companies to watch by the Wall Street Journal in 2017. McCarvill Capital Partners (MCP) is an independent private placement firm dedicated to raising large-scale institutionally-focused capital for a wide range of investment funds and private placements. MCP’s team is comprised of successful senior professionals from top tier Wall Street firms including Goldman Sachs, Citigroup, and Societe Generale who have advised and secured capital for best-in-class alternative investment managers and companies, both domestically and internationally. The McCarvill team has collectively raised over $70 billion to date, and has represented and executed on behalf of the highest quality fund managers and established firms across multiple market sectors including Disruptive Technology, Energy, Infrastructure, Natural Resources, Real Estate and Credit/Hedge Funds. This investment formalizes a long-standing relationship giving VPEG access to opportunities that are typically only available to large institutions; and provides access through MCP to institutional growth capital, as appropriate, for a number of VPEG’s portfolio companies. VPEG’s relationship with MCP has already rewarded our Partners with investment opportunities in the Tusk Venture Fund (which includes the highly touted Lemonade) and FanDuel. Tusk Venture Partners I, LP (“TVP”) is the maiden fund of regulatory catalyst Bradley Tusk. Previously, Bradley served as campaign manager for Mike Bloomberg and communications director for US Senator Chuck Schumer. His work with startups began in early 2011 when he agreed to work with then-brand new transportation startup Uber to help the company overcome regulatory issues posed by the Taxi and Limousine Commission (TLC) of New York City. Tusk Ventures is the first political strategy firm focused primarily on helping startups navigate the political, regulatory, and media hurdles that come with reshaping entrenched industries. The company’s investment professionals and in-house team of political and regulatory experts partner directly with high-growth companies entering highly regulated sectors and work with them to accomplish their goals through direct advocacy, campaign management, narrative development and strategic execution. Tusk Ventures works with a dedicated portfolio of startups to overcome regulatory hurdles, take advantage of new opportunities, and go to market. The companies in their portfolio include Uber, FanDuel, Lemonade, Eaze, Nexar, Ripple and Coinbase. WhereTo is an AI-based travel platform that simplifies and improves business travel planning for corporations and their employees. The solution is the industry’s first intelligent business travel platform that searches across dozens of channels for the best prices, and allows corporations to easily adjust pre-configured algorithms to meet their business objectives, generating real time, complete trip recommendations that balance cost against convenience and user preferences. The platform allows users to input their actual meeting location or business name rather than city or airport, allowing the algorithm to factor in real time commute conditions in making the flight and hotel recommendations. WhereTo provides unprecedented flexibility and support to corporations and travelers. Unlike most corporate booking tools, WhereTo conducts real-time searches of all available hotel, flight and car options based on each company’s objectives rather than fixed corporate policy. Booking can be completed in seconds with just three clicks, reducing time-to-book by 75%. Blast is the first high-yield, FDIC insured savings account for gamers. The app enables gamers to micro-save and earn incremental money while playing the games they love. Blast was founded by Walter Cruttenden, Mark Dru and Jason Martell (the founding CEO, CFO and CPO of Acorns Grow Inc), who have already built a standout product in the micro-investing field which has won many industry awards and has become the fastest growing new brokerage firm by number of new accounts. Blast has acquired the Acorns gaming patent. As games are played, money is transferred from a user’s checking account to their Blast high- yield savings account, based on triggers set by the user. Users also earn incremental income paid by Blast for completing “missions”, essentially trying and testing new games or reaching higher levels in existing games. The one percent interest earned on the Blast FDIC-insured savings account, plus the dividends earned, results in a far greater return than the average savings account. Current users are realizing returns of 5% to 15% per month. Blue Bite is a software platform that delivers contextually aware content through physical things and places. The patented platform helps companies acquire and retain customers more effectively by enhancing product value and improving consumer experience. Through technologies like NFC (Near Field Communication) Blue Bite enables constant connectivity between companies and their customers; delivery of personalized experiences with dynamic content; and real-time collection of post-sales and interaction data. The Company has powered thousands of experiences for hundreds of major brands including Adidas, Google, Amazon, Samsung and Ford. “We are very excited to be a part of VPEG’s portfolio. Unlike a typical investment from a financial firm, the highly strategic and symbiotic nature of this partnership unlocks major opportunities for Blue Bite and creates defensible synergies with VPEG’s existing roster of investments.” – Mikhail Damiani, CEO and Co-founder of Blue Bite. Fortior Solutions is a national leader in identity management and credentialing solutions for government agencies, military installations, critical infrastructure entities, and organizations with specific access and compliance requirements. Fortior Solutions offers end-to-end identity lifecycle program management and has an established performance record, boasting 99.97% equipment uptime. Fortior is the largest commercial provider of recognized vendor credentials to the U.S. Department of Defense and the only commercial contractor approved to conduct National Crime Information Center/Interstate Identification Index (NCIC/III) checks on behalf of the U.S. Government. Fortior helps government organizations meet requirements of the DoD, PIV and PIV-I credentialing, PCI-DSS and FBI CJIS and more. Fortior’s patented RAPIDGate Program is an award-winning and SAFETY Act-certified identity, access and security solution. It’s the only vendor-funded program of its kind, supporting organizations from the planning phase through implementation and providing ongoing program support. The Program also provides turnkey vendor enrollment programs. GetSpiffy has been prominently featured in Fortune, Forbes, Entrepreneur, Inc., Huffington Postand more. Scot Wingo, CEO of GetSpiffy, has founded three companies that are all successful. The first two were acquired, and the third (Channel Advisor, NYSE: ECOM) went public with a market capitalization of $750M. Scot recently received CEO of the Year Award in 2018 from the Triangle Business Journal of Raleigh, North Carolina. 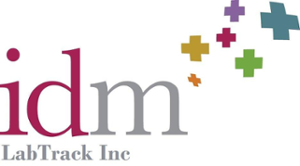 IDM LabTrack has been developing and deploying comprehensive business information management systems for healthcare applications since 2007. 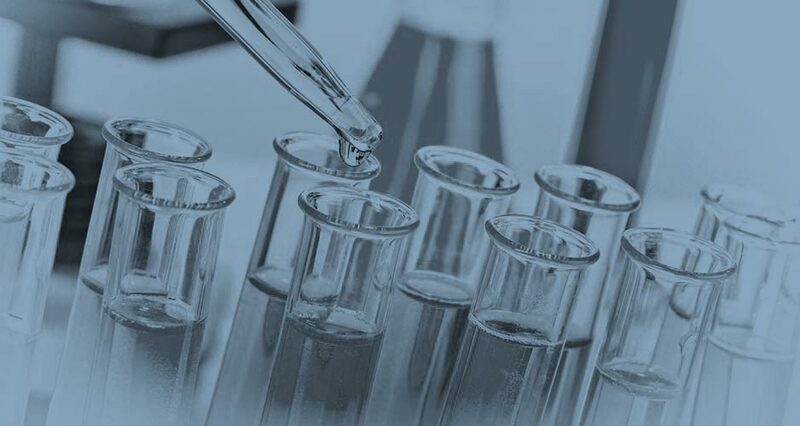 Its LabTrack™ solution is a unique, track and trace system combining advanced radio-frequency identification (RFID) technology and proven data gathering and analysis capabilities to help control laboratory costs, significantly reduce errors and risk, and ensure patient safety. LabTrack™ provides solutions for the clinical and anatomic pathology laboratories for hospitals and commercial laboratories. InSoundz captures, indexes, analyzes and delivers profound, clear and relevant audio content moments and is the first company to offer fully automated volumetric audio production in live events. Based in Tel Aviv, the company was established in October 2013 by key technology leaders out of the Israel Defense Forces (IDF) elite intelligence technological unit. By employing ground breaking patented sound technology, InSoundz is able to quite literally reshape viewer experience and engagement KPIs, increase post-event broadcast feature optionality and potential – maximizing linear and non-linear broadcast dollars at each turn – with particular strength in live event / land based entertainment and sports offerings. 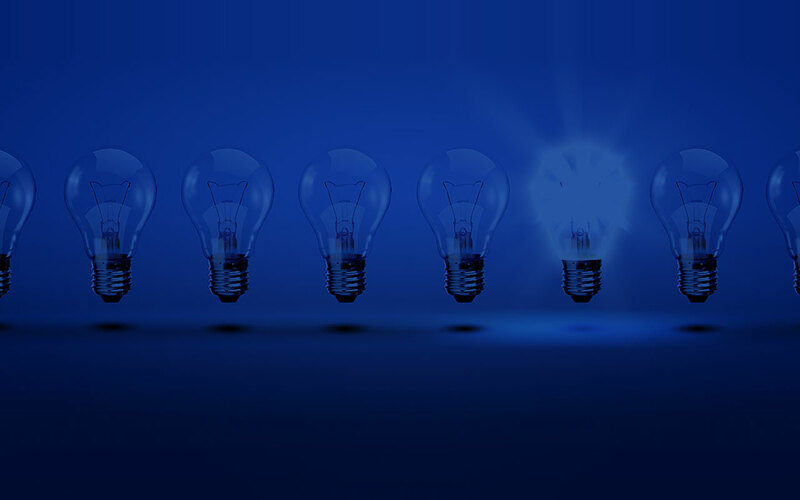 The first 2 years of the company’s existence were dedicated to core development and patent applications, giving InSoundz a strong head start in the market with a portfolio of 3 granted patents and 4 provisional patents, with the opportunity to submit additional patents out of a pool of over 20 potential applications. InSoundz is enjoying an ever-increasing ground swell of partnering opportunities with live sports and media events broadcasters, professional leagues and teams, global live event production companies, and VR / AR computer vision technologies alike. The company is actively engaged with Major League Baseball, LaLiga in Spain and Intel Sports. Shop4e, a Seattle based, foreign market focused, e-commerce technology company. The founder and CEO of the company, Harry Hu, spent several years as a developer at Amazon and has unique expertise in the cross-border e-commerce domain, generally, and in the challenges associated with China based e-commerce specifically. His extraordinary network in China has allowed him unique insight in to the hurdles that most e-commerce entities fail to fully understand, and access to the solution sets that competitors are unable to unlock. Shop4e has several competitive advantages in the e-commerce industry. Using an array of patent pending technologies, the platform enables a brand or merchant’s e-commerce storefront to become instantly available globally, direct to consumer, with no up-front costs or back end integrations. With a focus on the multi-billion-dollar Chinese market, the platform solves all the major issues when trying to expand sales overseas. The technology dynamically translates all content on the site in real time, handling both language translations and unit conversions, and all updates to products and content get reflected instantly. Payment processing is done using the most common payment methods for the region (WeChat Pay, Alipay) delivered in a consistent checkout experience. In addition, there is an entire logistics pipeline in place that rivals Amazon’s logistics and fulfilment process, to allow direct to consumer shipments in to China quickly and cost effectively. VPEG has partnered with the world’s largest RFID tag and inlay company, Smartrac Group, to accelerate penetration of RFID solutions into multiple verticals. This relationship has generated enormously scalable opportunities for deployment of this IoT technology that connects the physical world to the digital world, creating value lift along the entire supply chain and throughout the entire ecosystem. 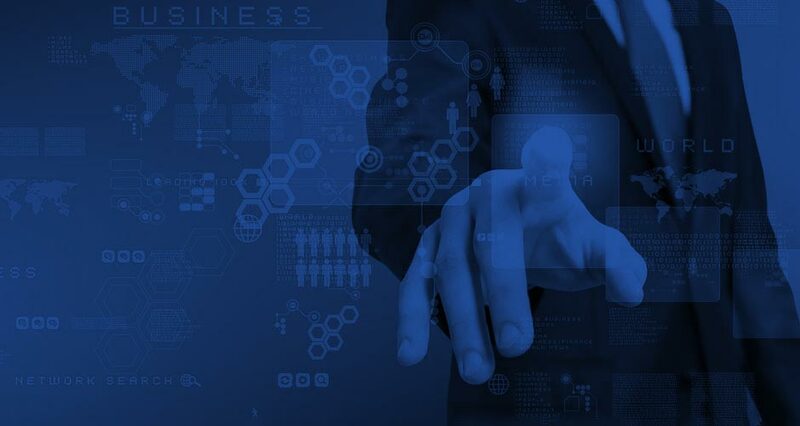 Smartrac is the global leader in unique and scalable solutions that enable businesses to digitize products, complement their product offerings with digital services, and connect them to the Internet of Things. Backed by an extensive patent and applications portfolio for technology, equipment, and production of contactless components and related processes, Smartrac has been able to set standards in several fields of the global RFID industry. Sneaker Con Digital (SCD) is a digital platform aimed at changing the way individuals consume and interact with sneakers and fashion. SCD is the next evolution of the Sneaker Con events business founded by ‘sneaker heads’ Alan & Barris Vinogradov in 2009, which brings together a growing network of young entrepreneurs, social influencers, and trendsetters with a passion for the $1B+ secondary market of high-end sneakers and streetwear. The success of Sneaker Con, featuring key event collaborations such as the BET Experience, the Sprite Sneaker Con Hoops Classic, and over 200 million social media impressions, form the blueprint for the digital platform, which places the focus on community, collaboration, and culture. The platform brings together members of the sneaker community, from vendors to collectors and enthusiasts, to engage in multiple ways starting with buying and selling of sneakers on the marketplace. Tangible items such as hot sneaker ‘drops’ are listed on the platform, along with dynamically served intangibles such as community generated content, authentication and digital chain of custody, and trends. With a user demographic that is 85% under the age of 24, this digital platform is at the leading edge of the current disruption of traditional retail and media, and demonstrates the power and potential of content and merchandise sold and consumed together. BioQ Pharma is a late stage specialty pharmaceutical company focused on developing and commercializing a portfolio of large volume ready-to-use infusible pharmaceuticals. BioQ Pharma’s vision is to set a new standard of care in the presentation and administration of infusible pharmaceuticals via a proprietary unit-dose infusion system that can be deployed quickly and conveniently at the point of care with one touch. BioQ Pharma’s infusion platform is intended to address some of the most pressing unmet needs in infusion today: cost, medication error, sterility, efficiency, and patient quality of life. MCP OWP Pharma, LLC is an investment vehicle formed by Manna Capital Partners, LLC to invest in OWP Pharmaceuticals, Inc.
Predictive Health Diagnostics has developed the PULS test, which cost effectively helps in the fight against cardiovascular and other preventable diseases with the use of molecular diagnostic technologies. Developed by Dr. Douglas Harrington and independently validated through clinical trials at the National Institute of Health, the PULS test very accurately detects and measures the level of coronary heart disease present in the human body as well as assesses the likelihood of a patient experiencing a heart attack over the ensuing five years. 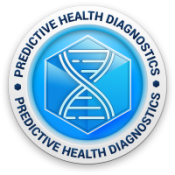 Since 2015, the Company’s laboratory subsidiary, Global Diagnostic Biosciences (“GDB”) has completed over 10,000 PULS tests. MEDITE Cancer Diagnostics, Inc. specializes in the marketing and selling of MEDITE core products (instruments and consumables), manufacturing, development of new solutions in histology and cytology and marketing of molecular biomarkers. These premium medical devices and consumables are for detection, risk assessment and diagnosis of cancerous and precancerous conditions and related diseases. Depending upon the type of cancer, segments within the current target market of approximately $5.8 billion are growing at annual rates between 10% and 30%. The well- established brand of MEDITE Cancer Diagnostics is well received and a foundational cornerstone of the Company’s business. The Company is publicly traded under the symbol “MDIT”, and the VPEG investment secures significant value added through warrant coverage and strategic affiliations. As identified by the United States Geological Survey, Michigan Potash and Salt Company is an emergent natural resource player sitting on a purported $65 billion dollar, tier 1 potash reserve. Entrepreneurially founded in 2011, Michigan Potash & Salt Company, LLC is a privately-owned company responsibly controlling over 150 million tons of recoverable K2O product in the US corn belt, leading America into a new era of sustainable, low cost, domestic potash production. These critical steps should see the enterprise value of MPC increase dramatically. Upon completion of the final stages, project development will occur. VPEG has been vetting and monitoring progress on this opportunity for over a year; affording VPEG the opportunity to invest the final dollars prior to these transformative events. C&F Minerals is a mineral and royalty portfolio company. C&F buys producing oil and gas assets at steep discounts to current and future values. The company is owned and managed by Cliff Hair, a VPEG General Partner with over 40 years of mineral acquisition expertise.